Apart from the online interaction, talking and meeting these friends was the next greatest pleasure. Over the years I have met many friends in person, chat with some over the phone. One such wonderful person is Viji. I have been in touch with her since the beginning years and then joined for a group blog as well. Though for personal reasons, she has made her blog private, she was never shy or hesitant to share her recipes, knowledge or anything that one might want. Viji Jeyakumar, authors Vcuisine, which was so very popular before she made it private. I know her space is still very popular among her readers. I rue the blogger's lack of response to fix some rudiment errors. She is unable to add more than 100 readers and hence I am unable to access her wonderful space. This SIMPas she calls, is one of the first recipes that attracted me to spice mixes. She uses this powder in such versatile ways that you will be left wonder stuck. I finally had the pleasure of making this podi myself at home and have even packed something for later usage. I dedicated an entire meal to cook with this podi and I must thank Viji for the wonderful recipe. Fry all the ingredients separately. Add coconut at the end and raw jeera. Powder coarsely in the mixie. Add turmeric and hing powder. Keep it in the air tight container which is handy for making many dishes. 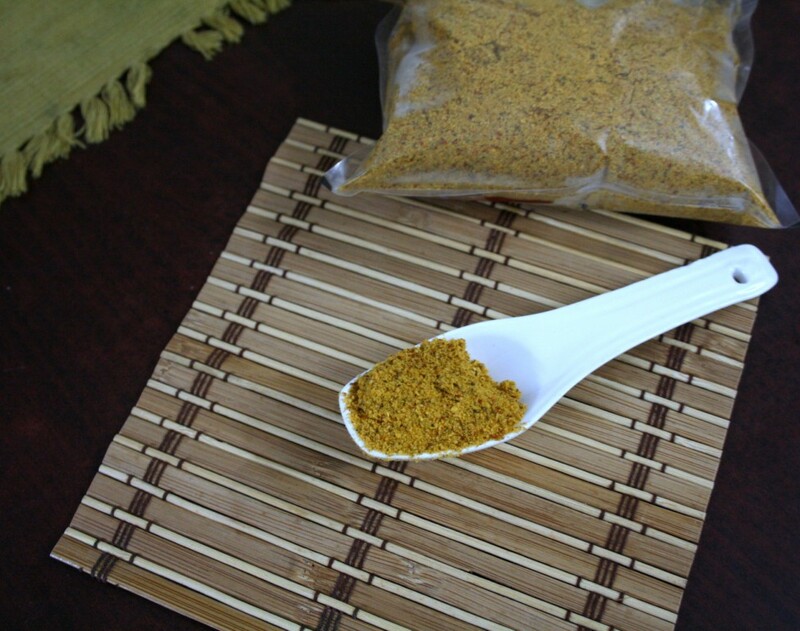 Viji suggests that this powder is a versatile one, which goes with any dish. Tamarind can be fried or microwaved or cut into small pieces before grinding. Adding tamarind or armchur powder (dry mango powder) will save us from adding lemon juice for dry dishes. 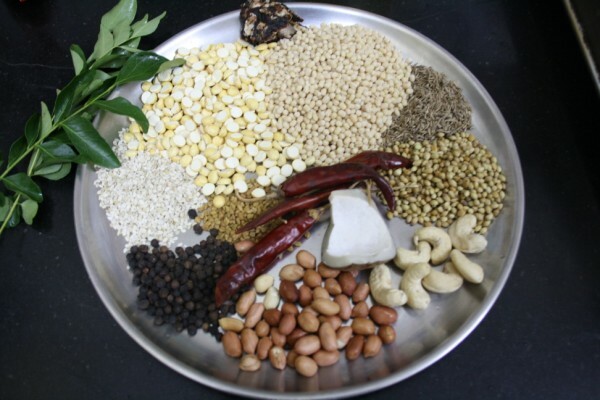 Always add jeera at the end when all other ingredients are hot. 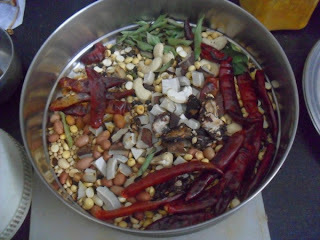 Add the nuts at the end and give one run in the mixie.